Are you suffering from insomnia? Does your loud snoring interrupt your partner’s sleep? These symptoms are characteristic of a condition known as sleep apnea. Sleep apnea is a disorder that drastically affects a person’s breathing throughout the night. People with sleep apnea experience intermittent breathing while asleep, and often wake up feeling groggy and tired. Mountain West ENT has locations in Bountiful and Layton to serve patients throughout Davis County experiencing sleep apnea with various treatment options like CPAP Therapy. There are three different ways to classify sleep apnea for our Bountiful and Layton patients. 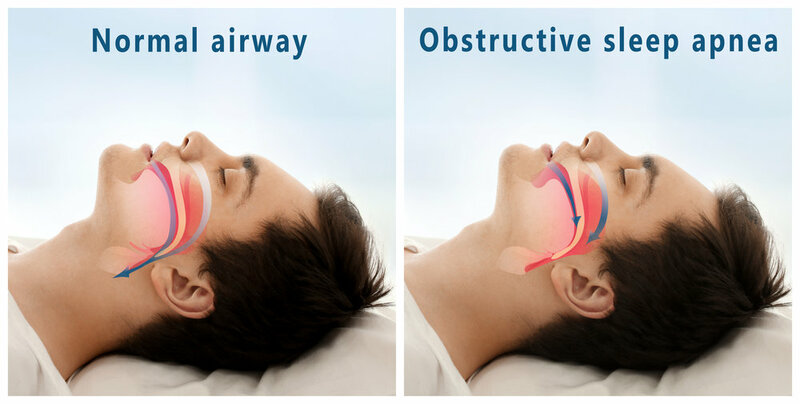 Obstructive sleep apnea (OSA): Most people with sleep apnea have OSA. It is the most common form of sleep apnea and occurs when the throat muscles relax. Central sleep apnea (CSA): For patients with CSA, the brain doesn’t send the proper signals to the muscles that control breathing. This miscommunication results in irregular breathing during the night. Complex sleep apnea syndrome: While it is rare, some patients experience both OSA and CSA resulting in a unique condition known as complex sleep apnea syndrome (CSAS) or treatment-emergent central sleep apnea. How Do I Treat Sleep Apnea? To treat sleep apnea in patients throughout Bountiful and Layton, our ENT specialists will assess the severity of symptoms and recommend the most appropriate course of action. For patients experiencing a mild form of sleep apnea, a specialist may recommend basic lifestyle changes like losing weight, quitting smoking, and reducing alcohol consumption. Those with more severe cases of sleep apnea, however, may require more aggressive treatment options like sleeping masks (CPAP Therapy) or surgery. If you are concerned that your condition may be sleep apnea, then reach out to the dedicated team of ENT specialists at Mountain West ENT to schedule your appointment in Bountiful or Layton. We are here to help you diagnose and treat your breathing condition, so you can get more restful sleep. 1551 S. Renaissance Towne Dr.